Have you meet the situation as this customer? Do you broke your iPhone 4’ screen accidentally and can not access the existing data in it? Do you want to make a copy of your iPhone 4 without writing the password? 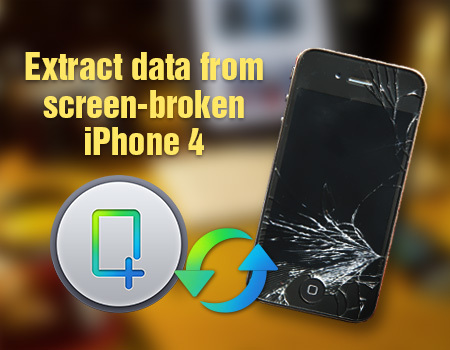 Do you want to extract data from screen-broken iPhone 4? iFonebox could meet all of the above demands for you. Free download the trail version to have a try. Install and launch iFonebox, connect your iPhone 4 with your computer. Then you will see the interface as follows, click “Advanced Mode” to enter DFU Mode. 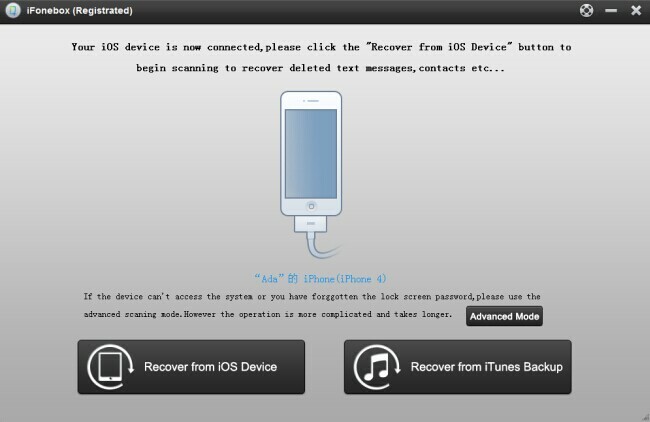 Notes: If your iPhone could not be detect by iFonebox, that means you could not enter Advanced Mode to recover all of the data in your device. 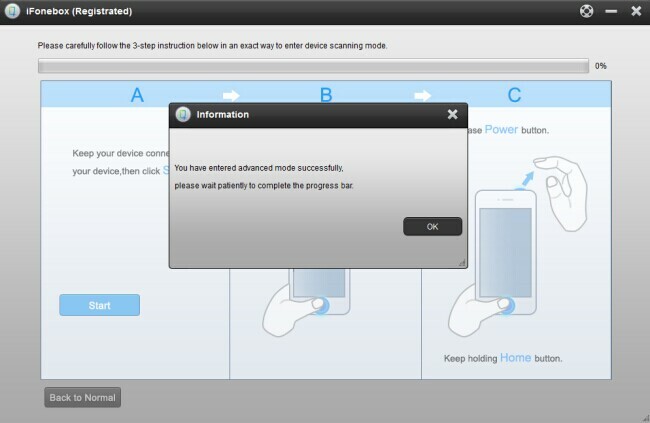 Click “Advance Mode” button and you will enter the interface to show you the 3-step instruction to enter device scanning mode. Click “Start” button and then hold the power button and Home button in your iPhone 4 for 10 seconds. After 10 seconds, release the power button and keep holding the Home button for another 10 seconds until the message “You have successfully entered DFU mode” now you can release the Home button. 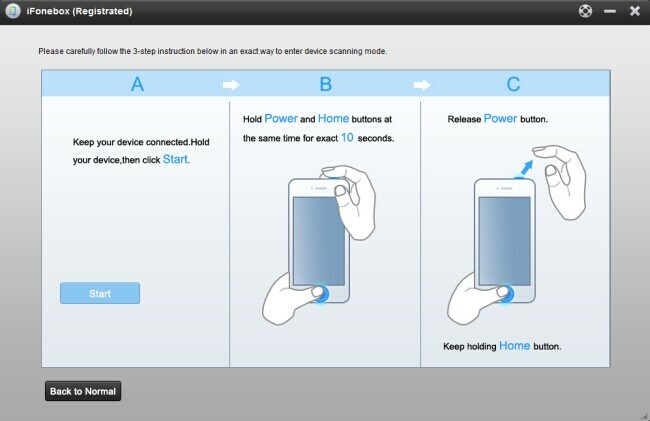 After activating the DFU Mode, iFonebox will automatically start the deep scan of your iPhone 4. After the scanning, all of the data on your iPhone 4 will be showed in the interface by categories. Click one by one to preview the existing data on your iPhone 4. Then click the “Recover” button on the top right of the interface to choose the location that you want to restore the backup folder. Tip: If your iPhone 4 runs ios 7 and need to “Trust” before entering Advanced Mode, sorry to tell you that our software does not support bypassing this at present.